This holiday break, become a TV tourist in your own town. 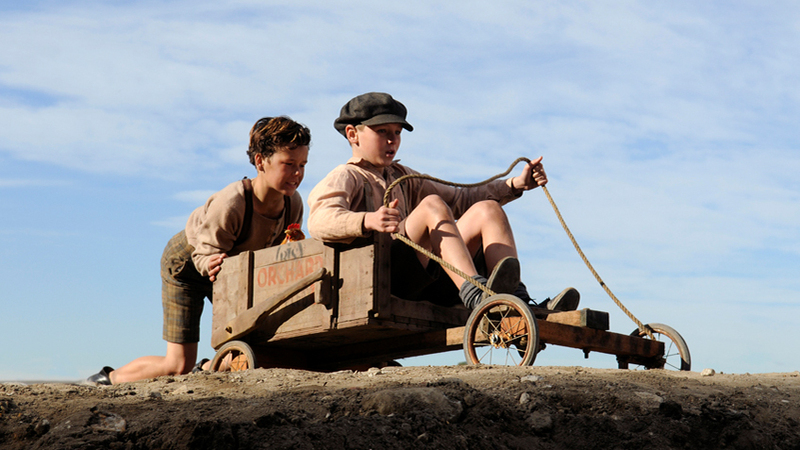 Across the country, experience a range of school-holiday activities designed to immerse you in Australian film and TV culture, or forge your own path to find the vast array of spectacular local scenery featured on screen. Let’s take a tour of the show-stopping sites your city has to offer. A new exhibition on one of Australia’s best-loved children’s authors, Paul Jennings, has opened at the Warrnambool Art Gallery. The free exhibition opens in October and runs through the school holidays until February 2019. The installation is an interactive ‘celebration of children’s culture’, expressed in Paul Jennings’s quirky signature style. The WAG’s ‘Unreal’ exhibition includes artifacts from Jennings’s past and present writing career, including his wooden writing desk, original artworks from collaborating illustrators and a series of interactive elements paying homage to some of his most iconic stories. A popular favourite at the exhibition is a sculptural Round The Twist lighthouse display for children to explore. The Warrnambool Art Gallery’s ‘Paul Jennings – Unreal’ exhibition runs from 13 October 2018 – 24 February 2019. For more information, visit www.thewag.com.au. Along the Great Ocean Road, don’t miss a stop at Airey’s Inlet to experience a tour of the Split Point Lighthouse, the iconic landmark featured in classic Australian children’s television series, Round The Twist. Make sure you opt for the ‘Twisted Tour’ – your guide will keep you up to date with interesting information about the series as you explore the lighthouse and its grounds. The lighthouse is open seven days a week for tours, weather permitting. For more information, visit http://splitpointlighthouse.com.au. Discover the magic of the moving image at the Australian Centre of the Moving Image (ACMI)’s permanent collection of film, television, video games, virtual reality and digital art. Learn where your favourite Australian shows and movies were filmed at the Locations Table, or create your own videos in the interactive Time Slice installation. We particularly love Screen World’s history of TV, complete with a dedicated exhibit for Australian kids’ content. ACMI’s free Screen Worlds exhibition is open daily, 10AM – 5PM. Free exhibition tours are held at 11AM and 2.30PM daily. Visit https://www.acmi.net.au/events/screen-worlds for more. Much-loved children’s series, My Place, premiered on our screens in 2009. Ten years on, the story of one house in Sydney continues to spark the imagination of primary students across Australia. St Peter’s Anglican Church in Sydney offers guided walking tours based on the popular series. Tours cover the suburbs of St Peters, Sydenham and Tempe. Some of the My Place buildings have been relocated and the dates adjusted to suit the story, but many of them exist and can still be viewed today. Contact https://stpetersatstpeters.org.au to book a ‘My Place’ guided walking tour for your history or school group. Ever wanted to learn how to create gory blood and guts movie make up? Or write your own score for the screen? Taught by industry professionals, AFTRS short courses cover a range of contemporary media skills, including film-making, digital animation, stop motion, screenwriting and radio. AFTRS’ school holiday program is open for kids and teens in Years 5-12, with a strong focus on having fun, making friends and acquiring new skills. Courses run at AFTRS’ studio and facilities in Sydney. For more information, visit: https://www.aftrs.edu.au/course-types/school-holidays. Aussie favourites, The Wiggles, will appear at Darling Harbour on January 26 for a special concert at Tumbalong Park. The Wiggles will perform their greatest hits in an outdoor event for families, beginning at 11AM. Free tickets to see The Wiggles Australia Day Concert will be released on Wednesday, 16th January 2019. Find your tickets at: https://www.australiaday.com.au/events/the-wiggles-concert. This summer, Canberra’s National Film and Sound Archive (NFSA) is exploring the on-screen lives of cats and canines as part of their school holiday program for kids. 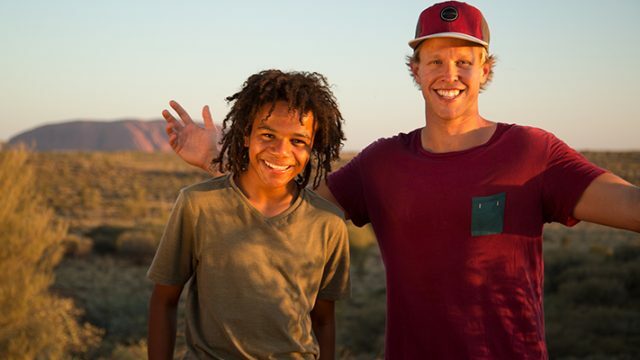 Among the range of flicks on offer is Australian hits Red Dog, Red Dog: True Blue and Oddball. While you’re visiting, catch the NFSA’s archival footage of dogs on screen, dating back to the 1930s. 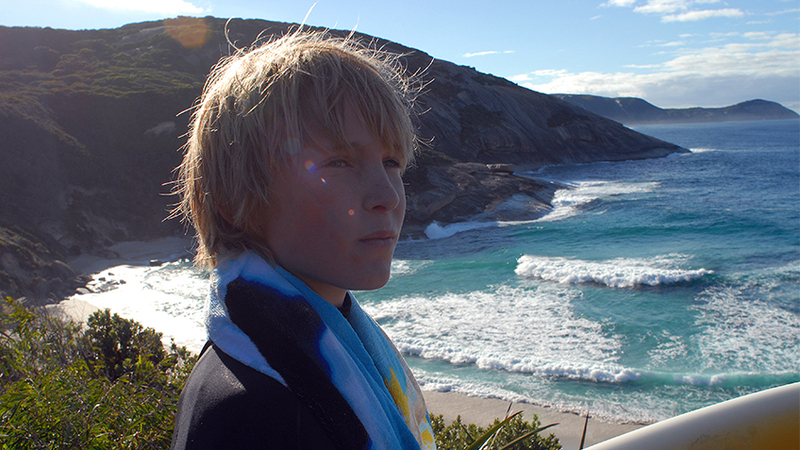 Channel your inner surf-rat with a visit to Albany, the home of Lockie Leonard. The port city at the southern tip of Western Australia is where writer Tim Winton moved to as a child, sparking his idea for the iconic coming-of-age novel. The ever-popular television adaptation was filmed in the town of Albany, a stand in for the fictional town of Angelus. 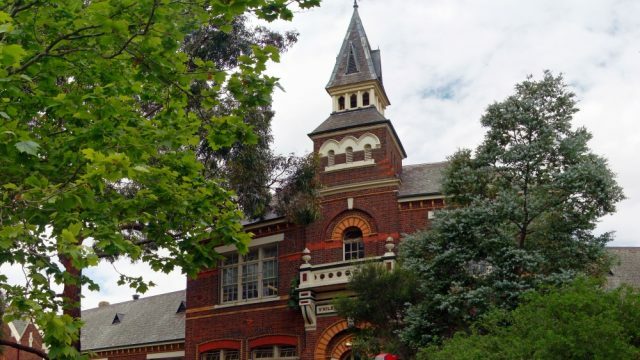 In fact, school scenes were shot at Tim Winton’s former school, Albany Senior High. While you’re there, take in the spectacular ocean views – many of which are featured in the series. For more to do in Albany, visit: http://www.albany.wa.gov.au. The 2014 film Paper Planes is the story of a schoolboy who qualifies for the world paper plane throwing competition in Tokyo. For children with a love of aircraft, a visit to the Aviation Heritage Museum of Western Australia in Bull Creek will get spirits soaring. The film includes interior shots of the museum and its impressive array of planes. The Aviation Heritage Museum is open 10AM – 4PM every day, excluding Christmas Day, Boxing Day, New Year’s Day and Good Friday. Learn more at: https://www.raafawa.org.au/museum. Directed by Paul Goldman, Australian Rules is about a young man who overcomes the hardships of growing up in rural South Australia by uniting his community through the power of football. Experience the spectacular seaside locations of the film with a trip along the coastline from Adelaide to Port Wakefield, stopping at Samphire Coast, St Vincent Gulf and the Yorke Peninsula. Along the way, be sure to stop by the Port District Football Club in Larg’s Bay, where Gary ‘Blacky’ Black and Dumby Red kicked the footy together on screen. Discover more about Adelaide’s coastline at: https://southaustralia.com. 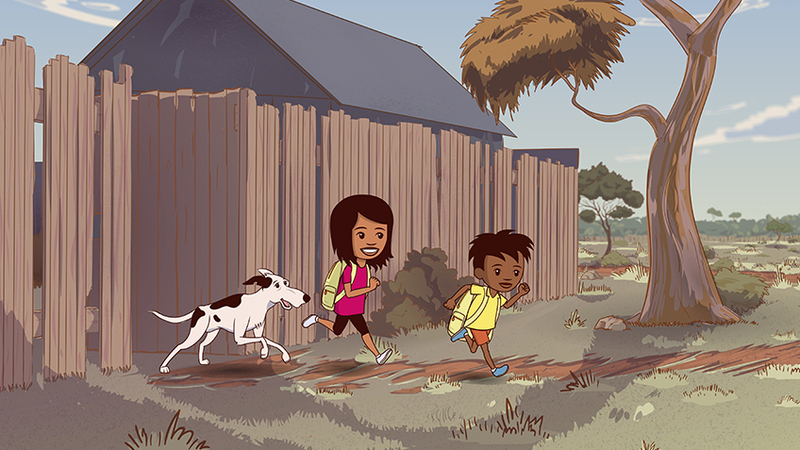 Little J and Big Cuz is Australia’s first Indigenous animated children’s series. In the program, Little J and Big Cuz live in the outback with their Nanna and their dog called Old Dog. Six episodes from the ground-breaking series have been translated into various Aboriginal languages, including palawa kani – a language that has been reconstructed from the different Indigenous dialects within Tasmania after many years. Three local school children from across Tasmania were involved in the creation of the palawa kani language episode. The Tasmanian Aboriginal Centre has a range of information about palawa kani. The official Little J and Big Cuz site also has a range of interactive games to play during the school holidays (and beyond!). Embody the life of everybody’s childhood hero, Taylor Fry, with a trip to the southernmost suburb of the Gold Coast: Coolangatta. It’s in this coastal town that hit series Mortified was filmed. While you’re visiting, be sure to walk by Palm Beach Currumbin High School – the very school that Taylor, Hector and Brittany spent their sunny days in. Find out more to do in Coolangatta at: http://www.coolangatta.net. Learn more about the cute, cuddly, creepy and crawly critters featured on adventure series, Bushwhacked! 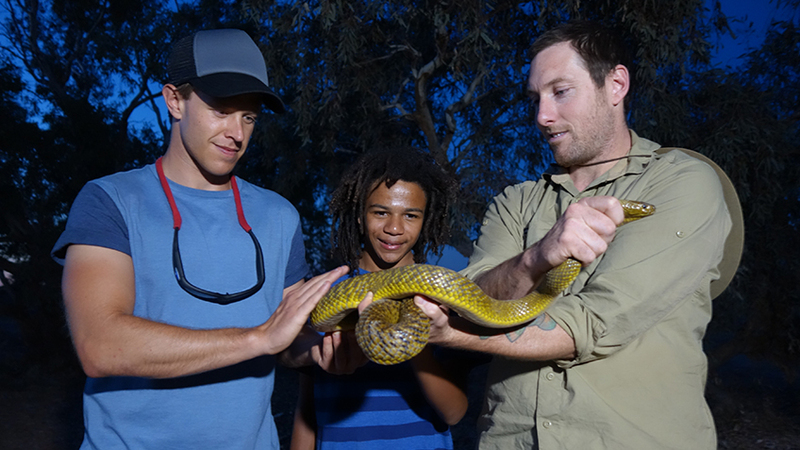 In the program, friends Brandon and Kayne challenge each other to track down Australia’s unique animals. Visiting places like Alice Springs and Kakadu National Park, Brandon and Kayne find a range of weird and wonderful wildlife, including dangerous spiders, killer sharks and lovable turtles. Like on Bushwhacked!, the Territory Wildlife Park has an extensive range of native fauna to discover. 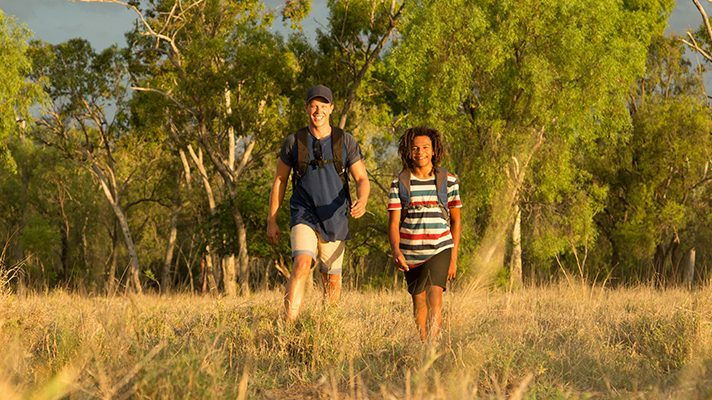 Visitors can travel by shuttle trains or explore the park on foot, with over 5kms of walking trails. By the end of the day, you’ll be guaranteed to get bushwhacked, too! Learn more about the Territory Wildlife Park: https://territorywildlifepark.com.au. Lily manages Digital Communications, including content creation for the ACTF's website, eNewsletters, social media profiles and blog. For Education, Lily coordinates webinars and professional learning events. She also provides administrative support for the development and delivery of education resources.